As always, there is a story behind this! 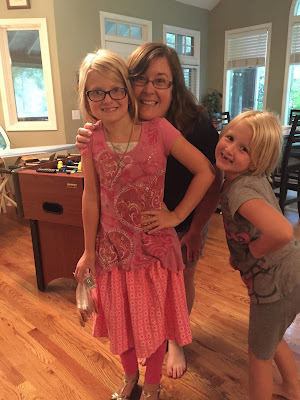 One day our lovely neighbor Ana told my 10-year-old daughter Callie she had to go to sewing camp. Callie told me and I was interested. You see, Callie is a little fashion maven and if she could sew she would be UNSTOPPABLE! So I texted my neighbor to find out what this was all about and it turns out a friend of mine was doing the camp at her house for 3 days and I missed the memo because I am not in any of the groups she posted in. Note to self: get in these groups. So I contacted my friend Suzanne and she said she would offer another the following week. SCORE! Oops, except for we were leaving town Friday and we needed all the supplies ASAP so we could wash and dry the fabric before the class and we don't shop on Sundays normally. 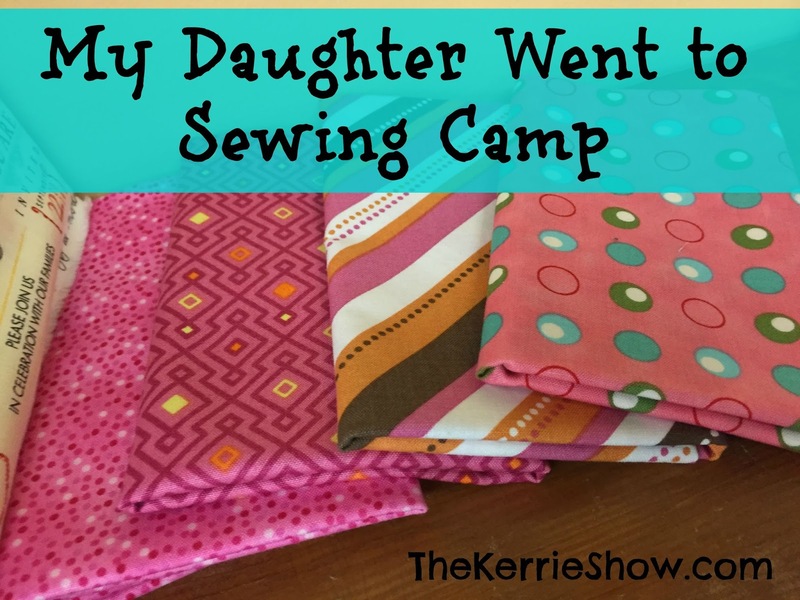 So Friday morning I headed out with Callie and the sewing camp list. We headed to Harper's Fabrics in Downtown Overland Park. I fell in love with the idea of sewing when I saw all the cool things I could make but I know in reality I probably don't have the patience for it. 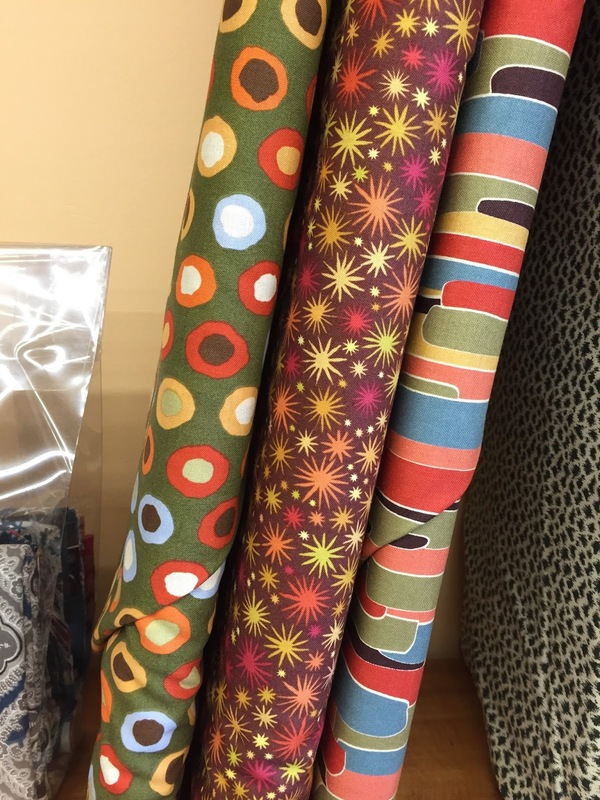 I did find some fabric I fell in love with to make *something* out of. Forty-five dollars later and we left the shop in a rush to head out of town. Yes, $45 later. Sewing camp only cost $20, which is a steal and I owe her a sheet of Jamberry nail wraps as even more of a payment because it was really cool of her to do it and she went over on time by 2 hours to make sure most of the girls got their skirts done! 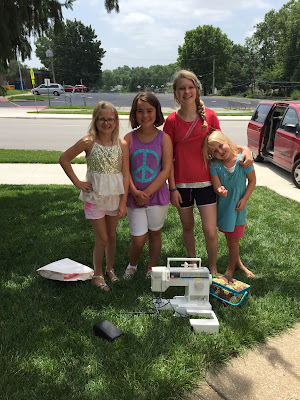 The day of sewing camp. Callie with her friends Ciara and Sadie and her sister Eva. Suzanne with Callie showing off her skirt! And Eva photobombs. 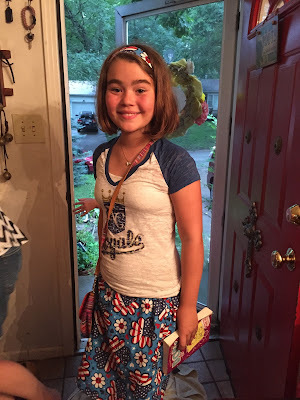 Ciara with her skirt! Once Sadie's is all done I'd love to post a pic here! Most of the girls got done in about 8 hours. 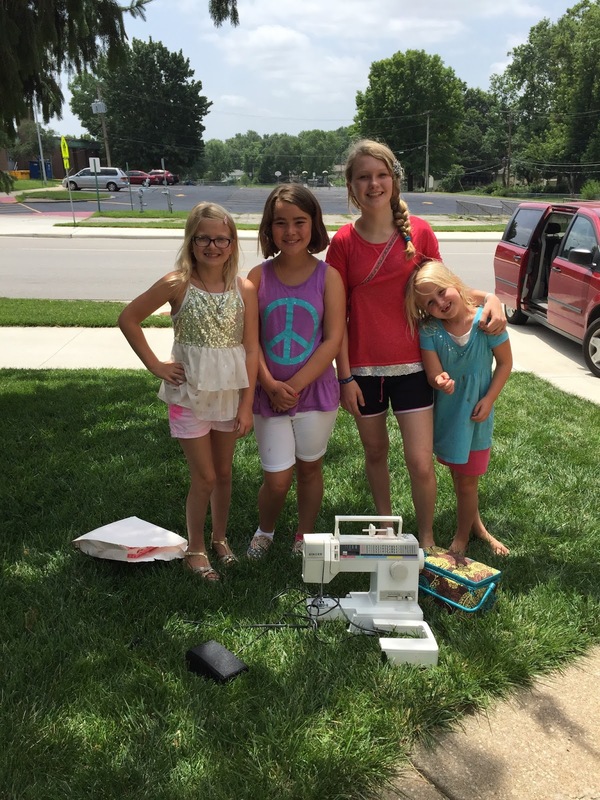 Bottom line: sewing camp was awesome. Seek out a super patient person you know who might offer something like this and pay her handsomely!